Taipei is the city of perpetual change, and this can be seen in its architecture as the old contrasts the new in surprising ways. From narrow and vivid alleyways to futuristic structures, Taipei’s rich history is incorporated within its streets and buildings. This city is where traditional Chinese designs mingle with Western elements, a metropolis where cultures collide and unveil beautiful synergies. 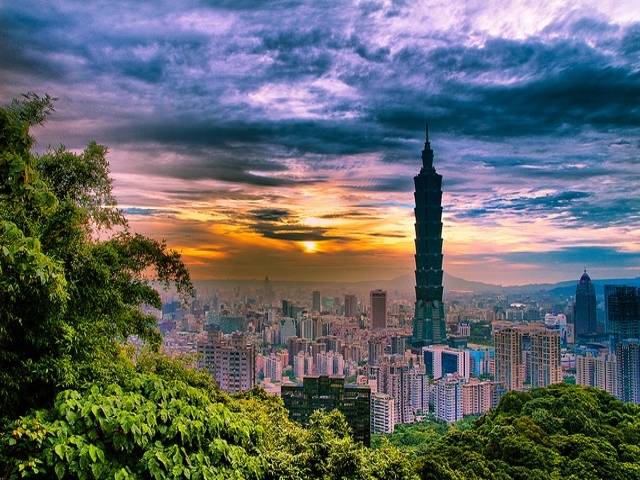 To fully appreciate Taipei’s architectural complexity and cultural diversity, check out these six exemplars. This is by no means an ordinary library. For fans of green architecture, the Beitou Public Library is a perfect example, with its innovative architecture, sloping turf roof, rainwater recycling techniques and use of solar energy. It’s the first “green” library in the country, and it’s a truly eco-friendly building. Located within Beitou Park and made entirely of wood, this book haven contrasts with the steel and concrete structures everywhere in the city. 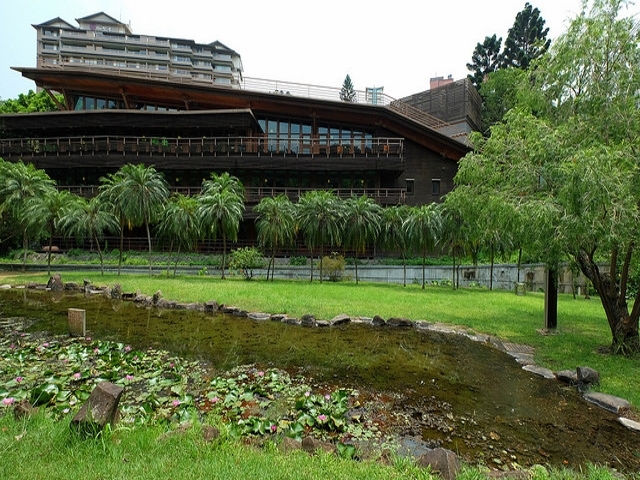 Relax after a long reading session by soaking up Beitou’s famous hot springs. 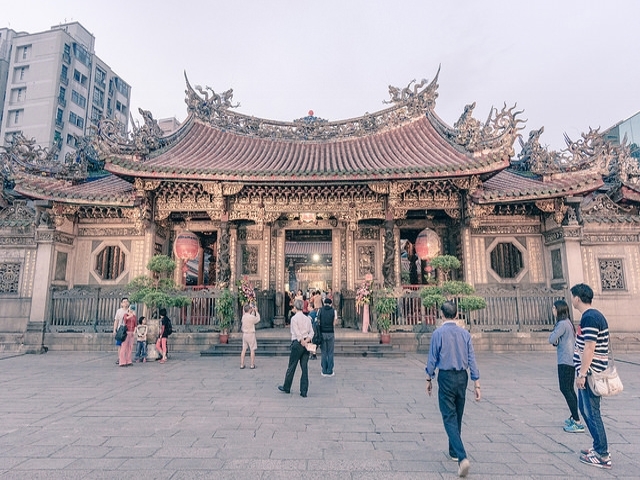 Longshan Temple, literally “Dragon Mountain Temple”, is the epitome of traditional architecture, a place where the spiritual and the exquisite converge to create a mystical atmosphere. Dedicated to Guanshiyin Budda and other divine spirits, it is one of the oldest Buddhist temples in Taiwan, dating back to the Qing Dynasty. The temple is one of the most important historic and religious landmarks in the city, where visitors can experience ancient Chinese customs. The surrounding area has many narrow alleys filled with old shops that keep ancient traditions such as fortune-telling and matchmaking alive. Being 101 stories 509 meters high, the Taipei 101 is one of the tallest buildings in the world, an iconic skyscraper that successfully incorporates traditional feng-shui elements and high-tech sophistication. Surrounded by ultra-modern buildings in Xinyi district, the skyscraper is a flagship structure among a sea of futuristic constructions. The first floors of the 101 host one of the fanciest shopping centers in town and the 35th floor houses the highest Starbucks in the country. Those wishing to get above the rest can also visit the top of the building via the the world’s fastest elevator that can reach the speed of 60.6 km/h, a special bonus. 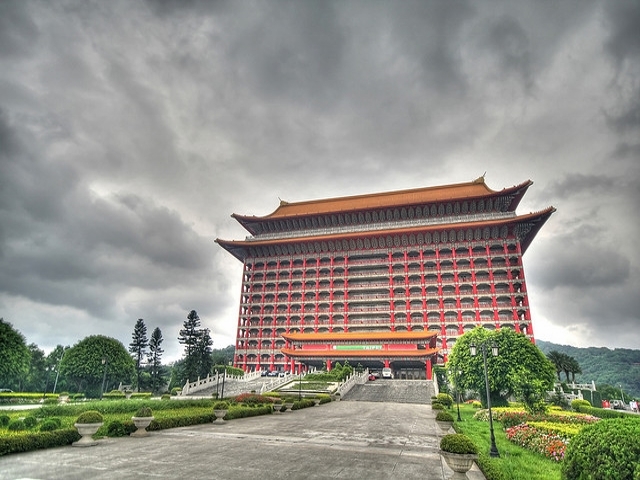 The Grand Hotel is the first luxurious hotel in Taiwan, designed to accommodate foreign dignitaries and VIPs. Its architecture is intended to replicate imperial extravaganza. With vermilion columns, dragon motifs and a very traditional rooftop, the building looks more like a Chinese ancient palace rather than a hotel. With an impressive roster of patrons, it also has two secret passages that is filled with history. What’s even more interesting is that patrons can even book a visit to the 180-meter long underground passageways. The three building ensemble is designed to amaze, adapting ancient Chinese architecture to modern times. The symbolism incorporated in the Memorial Hall is truly unique — the 89 steps of the stairs leading to the Memorial Hall represent Chiang Kai-shek’s 89 years of life. 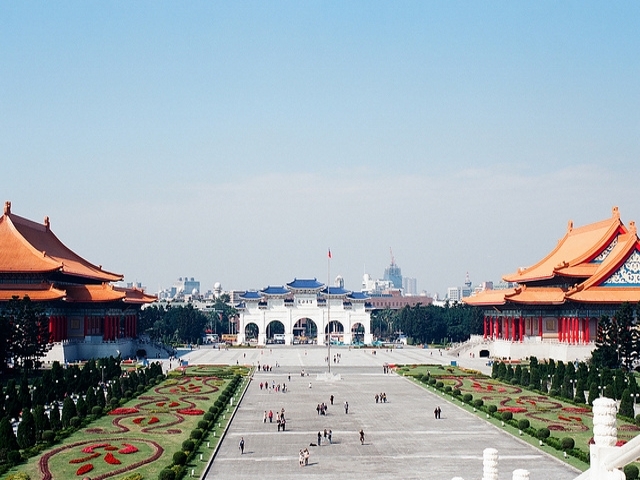 Designed to preserve the memory of Chiang, Taiwan’s most famous leader, the Hall houses an impressive sitting statue of the former president with a guard change every hour. The 19th century residence is a must-visit for those passionate about traditional Chinese culture, as the remarkable site depicts a very interesting aspect of local history — how the rich used to live in Taipei in past. Its garden scenes are inspired by the style found south of the Yangtze River in Mainland China, where the Lin Family originated. 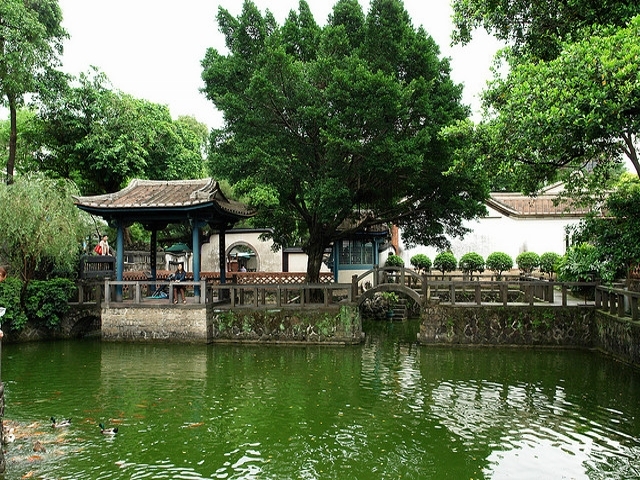 The Lin Family Mansion represents the peak of traditional exquisiteness and the domain surrounding it. It can’t get more zen than that.